A Southwest Airlines flight from Chicago's Midway Airport to Newark was diverted to Cleveland Wednesday after a mid-flight window crack, according to officials and flight passengers, just two weeks after the deadly engine explosion on another Southwest jet. Southwest said in a statement that Flight 957 was diverted for a "maintenance review of a potential crack to the outer pane of a window." Images posted to social media appear to show a crack on one of the plane's windows. 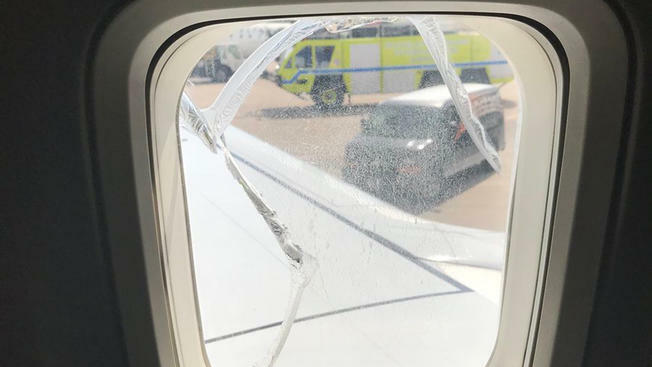 The airline said that "the aircraft maintained pressurization as there are multiple layers of panes in each window" but did not provide details about what caused the window to fracture. Passenger Sylvia Styka, of Chicago, told NBC about 30 minutes into the flight she heard what sounded "like a loud crash, like something very heavy had just fallen off of something." She said she was one row in front of the window that cracked and all the passengers near the window moved away. “I heard a woman say, 'Something cracked the window. Something hit the window," Styka recalled. "Window broke mid flight to Newark from Chicago @SouthwestAir #WhatsGoingOn," tweeted Deepak Chawla, who told NBC News he was on the plane and the window was next to the seat behind him. 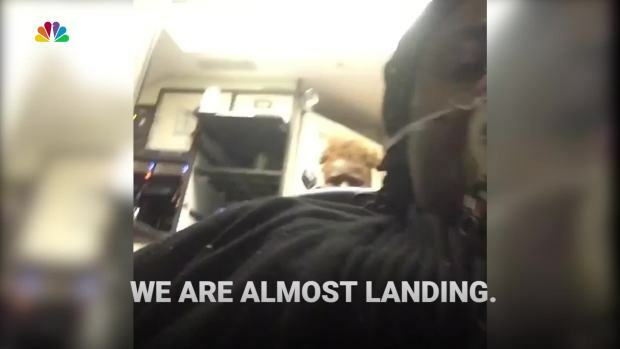 A new video shot by a passenger shows flight attendants calming passengers after a midair explosion on a Southwest flight. Styka praised the pilot and flight crew for quickly responding to the incident, saying the crew made her feel safe and the pilot decided to divert the plane within 15 minutes. "It’s so unusual and he was just great about it," Styka said of the pilot. Southwest said that "the flight landed uneventfully in Cleveland." The FAA confirmed that the Boeing 737 landed at Cleveland Hopkins International Airport "due to a broken passenger window" and said data suggests passenger window failures are rare. It said an emergency was not declared before landing, no oxygen masks were deployed and the plane landed without incident. The plane was taken out of service for a maintenance review, and Southwest was working to get the flight's 76 customers on another plane to Newark. Southwest Airlines spokeswoman Brandy King said the Boeing 737 was built in 1998, and has flown about 40,000 "cycles" or flights, "but the damaged window had been previously replaced and continues to receive regular checks as part of our maintenance program," the Associated Press reported. She said it was inspected last month. 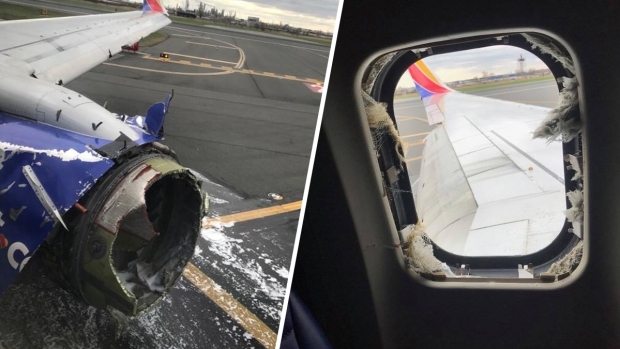 The incident comes just two weeks after another Southwest Boeing 737 made an emergency landing in Philadelphia after an engine exploded mid-flight and a window blew out. A woman died after she was partially sucked out of that window. In response to the explosion, the FAA ordered hundreds of similar Boeing 737 engines to be inspected. Under the April 20 order, all CFM 56-7B engines that went through at least 30,000 takeoffs or landings had to be inspected within 20 days.